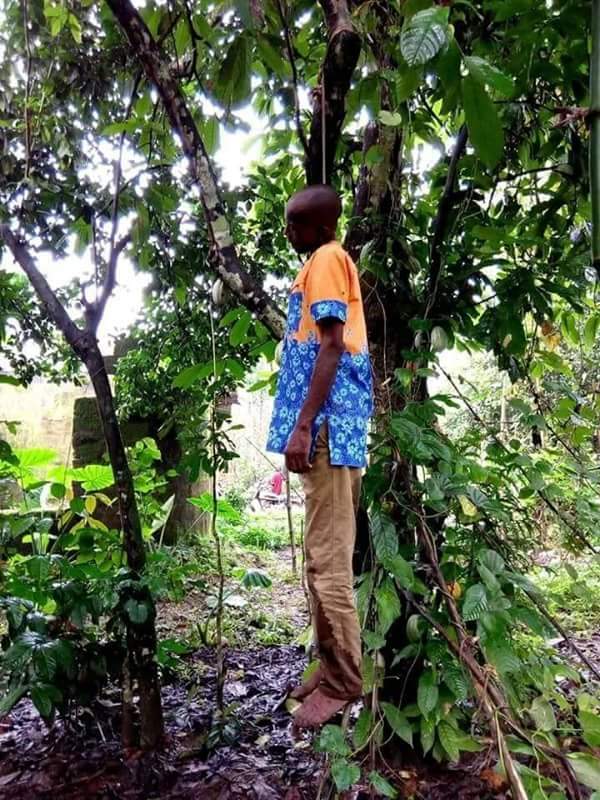 A man who hails from Ikot Akpan Ikpong village, Afaha Obong, in Abak LGA of Akwa Ibom State, has decided to end his life by committing suicide.Report has it that the man until his death was residing in Oron where he has a business.He visited his hometown Ikot Akpan Ikpong on Sunday evening. 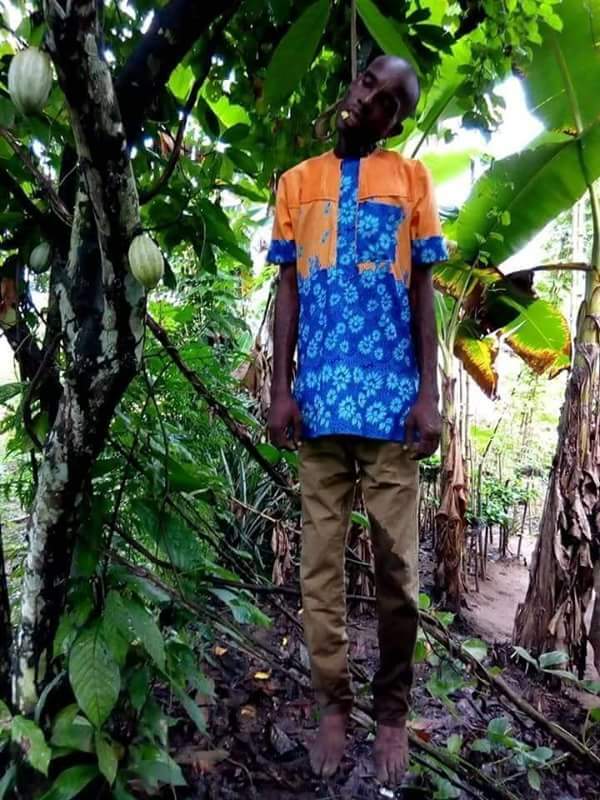 His corpse was found dangling on a Cocoa tree just beside his uncle’s house where he normally takes shelter whenever he visits home since he was yet to build his own house. 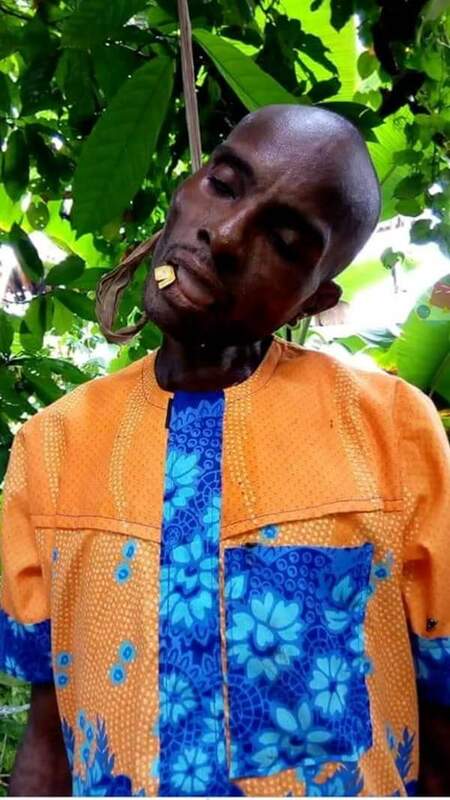 It was discovered that he smashed his cell phone and chewed the sim card. None of his relatives nor the villagers have been able to say the reason behind his action.